Eddie Guerrero was one of the best to step foot in the ring. Ever. Period. His talent in the ring was second to none, and over the years, Eddie would ascend to heights many thought weren't possible. Eddie did this through his hard work and his in ring ability, putting on classic matches frequently whether in ECW, AAA, WCW, or WWE. Today, I wanted to take a look at the 5 best matches in Eddie's career. Let's get into it. 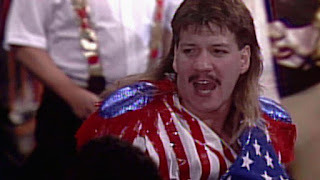 -This match was two out of three falls and the final match for both in ECW before leaving for WCW. I wanted to put the Eddie vs Edge match here, but this one was just a bit better. Dean and Eddie were doing things that weren't seen before in the company, and their level of talent exceeded many others. Eddie won the first fall, Dean won the second fall, and the final fall was an epic battle throughout and it seemed as if Dean got the win, when in actuality, he didn't. 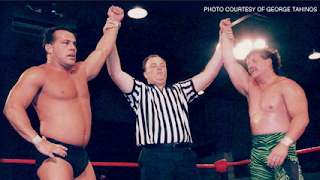 Both men had their shoulders down, and as a result, we got to see the final match in ECW between these two end in a draw. Excellent contest. -The Smackdown Era was amazing. It was one of those eras that really showcased talent for their gifts and ability, not just based on the politics backstage that usually dominated the way things went. This match was one that honestly shocked me, as it is one of my all time favorite matches. It was a pure wrestling match, with all four competitors giving their all. The match ended with Angle getting the win, but Eddie was on fire during this time period and he was great here. -The fact remains, Eddy in AAA was some of the best work of his career. It was a hair vs mask match, and it took place at the mega event When Worlds Collide. 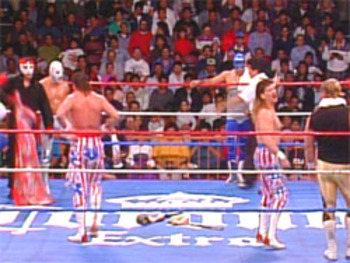 This contest was two out of three falls, and after Eddie and Barr won the first fall, Octagon and El Hijo won the final two falls to take a classic match. They really had one of the most technical sound and entertaining matches I've ever watched and you can find it on YouTube and DailyMotion. It's the best match on the When Worlds Collide show which is a great event in its own right. -The moment his entire career changed for the best. Eddie was the man inside the ring and as a tag team wrestler, he was a champion. He had been US Champion, and he had given us classics, but his masterpiece was yet to come. His masterpiece came when he went toe to toe with Brock Lesnar for the WWE Title. This match was interesting from start to finish and despite the interference from Goldberg, it was an excellent bout and an even more excellent moment seeing Eddie walk away with the WWE Title. Eddie definitely deserved this moment and the championship. 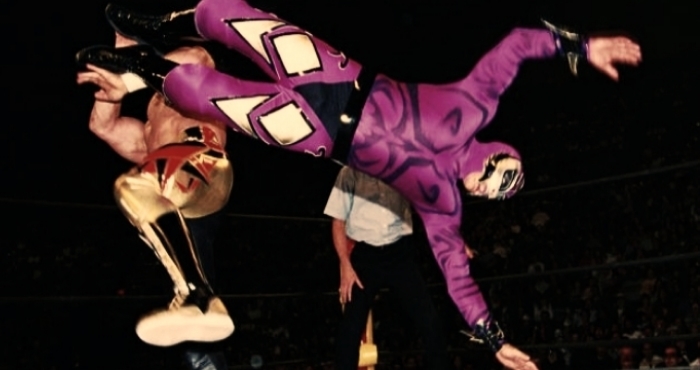 -There aren't many matches in WCW history as good as this one. In fact, this might be the greatest of them all. After a solid build up, we witnessed a back and forth contest with these two amazing wrestlers going at it with everything they had. Rey was in his prime, Eddie was in his prime, and this mask vs title match had grave implications for Rey. After a ton of amazing action, Rey managed to walk away with the Cruiserweight Title and keep his mask in tact, but the ride to get to that point was one of the greatest I've ever seen. 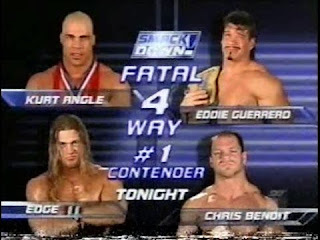 While there are many classic Eddie Guerrero matches, this one takes the cake as the best.